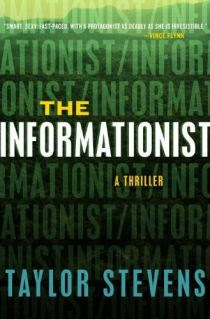 The Informationist is the debut thriller of Taylor Stevens. I'm excited Taylor Stevens has given us a new badass female lead. 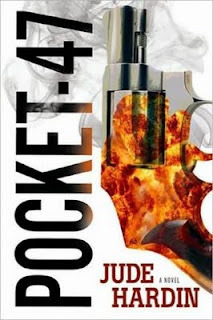 I'm a fan of Steig Larsson's Millennium trilogy, and Stevens's new series will more than fill the void. The Informationist starts out a lot like The Girl with the Dragon Tattoo. 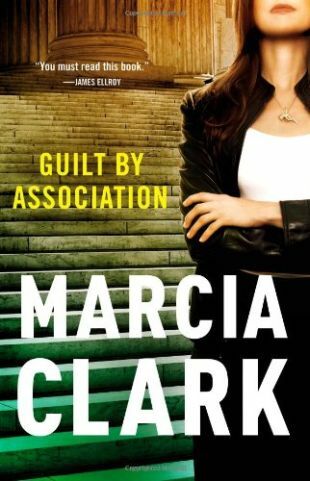 A rich business man's daughter is missing and presumed dead. He hires Vanessa Michael Monroe to find the answers no one else has been able to produce. Monroe starts out resembling Lisbeth as well, but both the story and Monroe pull away to stand strongly on their own merits. 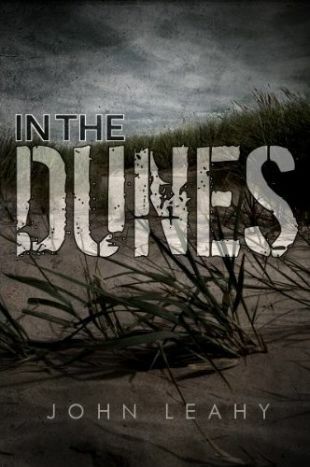 Monroe's investigations leads her to Africa where she must face unknown enemies as well as the enemies of her own past. If you are a fan of mysteries or thrillers, I highly recommend The Informationist. I loved the African setting, and many moments shocked me and kept me glued to the pages. The Informationist is the first book in a series. I don't know if it will be a short series or a long running Vanessa Michael Monroe series, but either way I know I'll be reading every single one of them. My answer varies greatly depending on circumstance. If I'm reading short works - which I love - I can read several books in a week. If I'm reading a longer work, it can take all week or more for me. I read and love all formats. I usually have an audiobook, a physical book, and an ebook going at the same time. Are you are multi-reader or a one book at a timer? Right now I have four going which is probably my limit. I'm easy going when it comes to movie adaptations. Even when it's a loose adaptation, I'm always happy to visit my old friends. 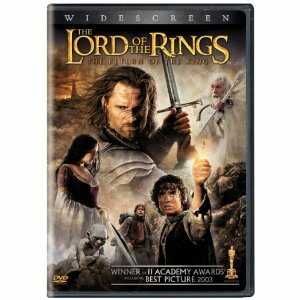 I love the Lord of the Rings movies. 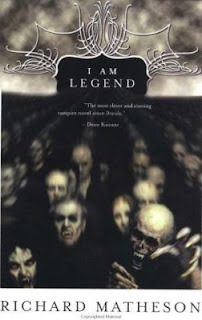 I wrote a couple of posts recently regarding The Ruins and I Am Legend and their respective movie adaptations. I think I've liked every Stephen King adaptation. I also love all of the Harry Potter movies. There have been adaptations I did not like. Most fresh in my mind is the I Am Number Four movie that was released to DVD this week. I didn't like it. Mostly I didn't like it as a movie (it was ridiculous), but loving the book does make it harder because I know everywhere they could have done things right. 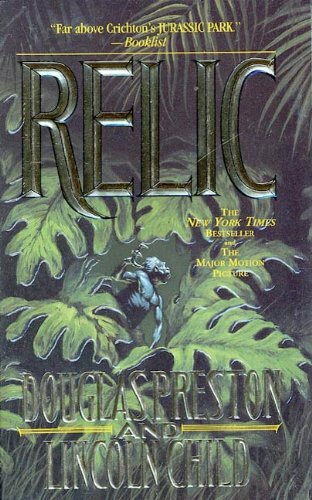 I also did not like the adaptation of Preston and Child's The Relic . I loved that book, and again the movie was just bad as a movie. Are you hard on movie adaptations? Does it make it harder when the book is one of your favorites? Blogger's GFC widget seems to be having issues. If you want to follow someone's blog today, try the Follow link on the very top bar of their blog. Have you been wondering the latest on The Hunger Games movie? Of course you have! Well, I've been enjoying all of the updates Jenni Elyse has been posting on her wonderful blog. Click here to see all of her Hunger Games updates. I'm really excited about this cast which includes some surprises like Lenny Kravitz and Woody Harrelson. Go check out some of the news. Are you excited about the movie and the cast? 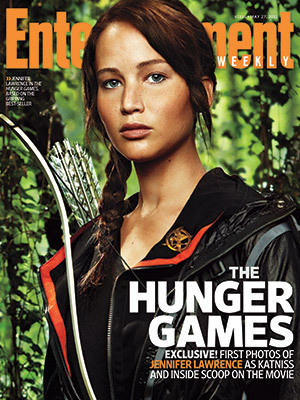 Did you check out Jennifer Lawrence on the cover of Entertainment Weekly? I was so happy to pull that issue out of my mailbox. I had no doubt they could Katniss-ize her. P.S. 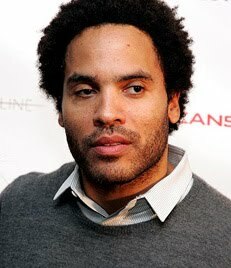 I stole this picture of Lenny Kravitz from Jenni Elyse's blog. I hope she doesn't mind, but it makes my blog more attractive like that. You're welcome. 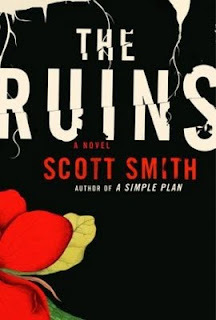 The Ruins is a great book by Scott Smith - the guy who wrote A Simple Plan . I didn't care much for the beginning of The Ruins. The characters were annoying and a few things were cliche. Thankfully this did not last long. The Ruins managed to turn into a great page turner. Do not let the beginning sway you. I loved this book. I'm pleased to say I also loved the movie . 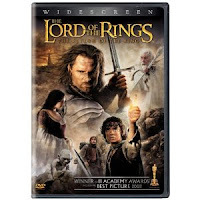 Scott Smith wrote the screenplay as well, but the movie is surprisingly different than the book. The characters were switched around, the injuries and events were switched around, and the ending was changed. This rarely happens, but I liked the movie ending more than the book ending. If you haven't checked out either of them - read it (always first) and watch it! It's fun to see the Scott Smith's different visions between print and screen. Plus, it makes for some awesome entertainment. 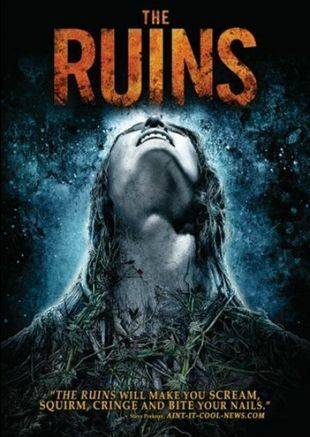 Have you read and watched The Ruins? Which ending did you prefer? 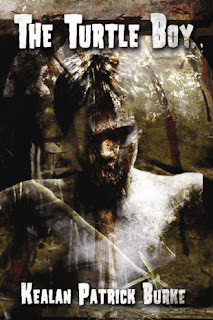 The Turtle Boy is an excellent novella from Kealan Patrick Burke. But on the day they encounter a strange young boy sitting on the bank of Myers Pond a pond playground rumor says may hide turtles the size of Buicks everything changes. 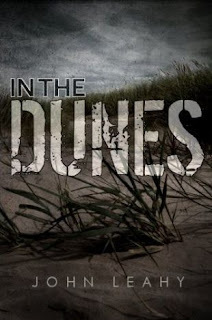 For it soon becomes apparent that dark secrets abound in the little community, secrets which come cupped in the hands of the dead, and in a heartbeat, Timmy and Pete's summer of wonder becomes a season of terror, betrayal and murder. I loved The Turtle Boy. It's a fantastic mix of youth, magic, and horror. The Turtle Boy is first novella in Kealan Patrick Burke's Timmy Quinn series. I'm really looking forward to reading The Hides and the rest of the series. If you haven't read The Turtle Boy yet, you can download it free from Smashwords. Kealan says it's only for a "limited time" so don't be crazy and wait. You will love this one. 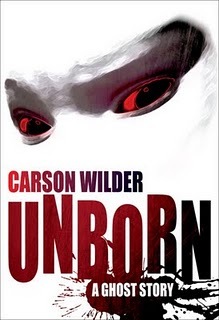 Earlier this week I read a great novella by Jude Hardin (writing as Carson Wilder) called Unborn . You can read my review of Unborn here. Jude Hardin released a new novel this week called Pocket-47 . 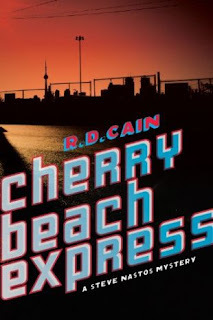 Another book released this week was Cherry Beach Express - the debut novel from R.D. Cain who has "worked for the last 18 years in emergency services as a paramedic, firefighter, and police officer". When Steve Nastos is wrongfully accused of murdering his dentist—a man whom he believes committed an unspeakable crime against his daughter—he decides to take the law into his own hands. Freed on bail, he attempts to track down the actual killer in a town where laws are seen more as guidelines and law enforcement agents adhere to their own moral relativism. Handicapped by a recovering alcoholic lawyer, a rogue cop, and a two-faced judge, Nastos has the cards stacked against him. As his estranged yet beloved wife inadvertently becomes involved in the case, the stakes become higher, and Nastos is forced to protect her. I'm looking forward to reading both of these! Last night was the end of a very long week. All I wanted to do after putting the kids to bed was curl up and lose myself in a story, so I paid a visit to my favorite suspense junkie's blog The Man Eating Bookworm and "shopped" for a shot of adrenaline. Unborn by Carson Wilder (Jude Hardin) sounded just right. The vengeful ghost of an aborted baby girl goes on a killing rampage. 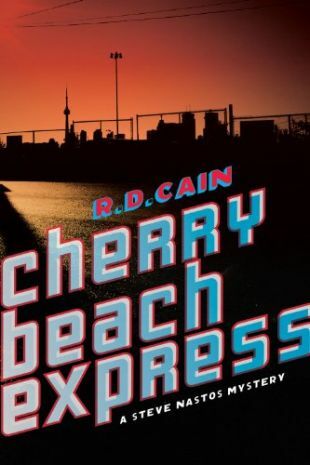 Highway drifter, day laborer, and world-renowned psychic medium John Rock tries to stop her. Unborn is short, but it packs a big punch. Do you remember that awesome scene at the end of Final Destination where the kid steps off the curb and BAM! gets hit by a bus? Unborn is like that. From the opening scene I was pulled in, and every page scared me. I was scared of what was happening, and I was scared for what would happen next. Now I can't wait for the sequel. If you are easily disturbed, steer clear of Unborn. If you love having a look of terror on your face as you read, please add Unborn to your list. There is no better way to spend your hard earned $.99.